Click pictures for vedio presentation! 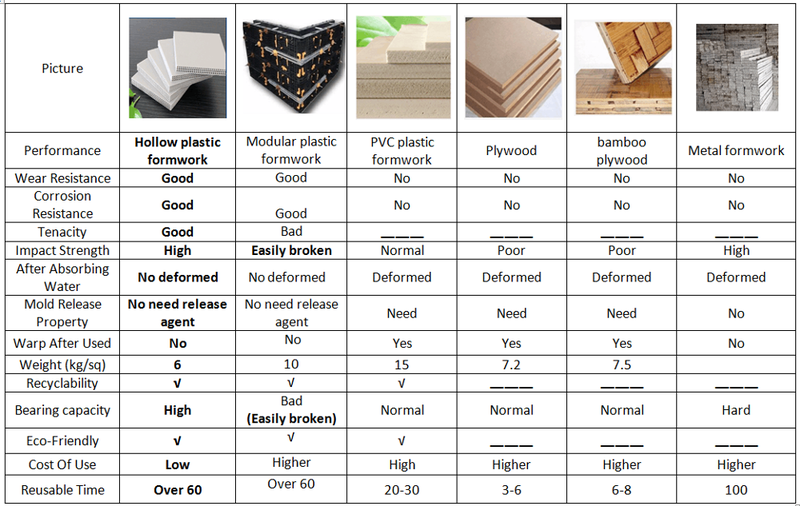 The plywood formwork produced by BEIZHU uses imported polypropylene resin as basic material, adding chemical additives toughening, flame resistance, weather resistance and anti-aging, smelt and form new construction material through chemical molecular structure reorganization. 1. 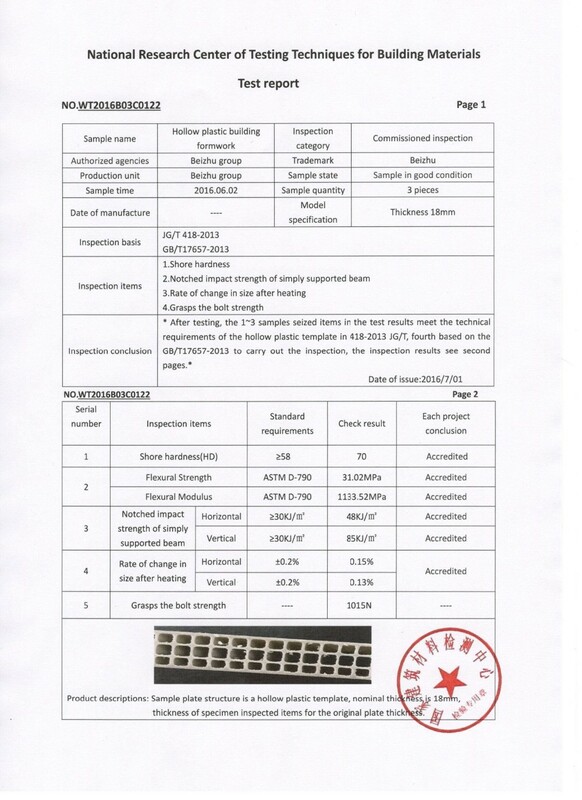 Light weight, high strength, high hardness, impact resistance, wear resistance. 2. Surface is smooth, bright and clean; Concreting and forming effect is good for Beizhu plastic formwork. 3. 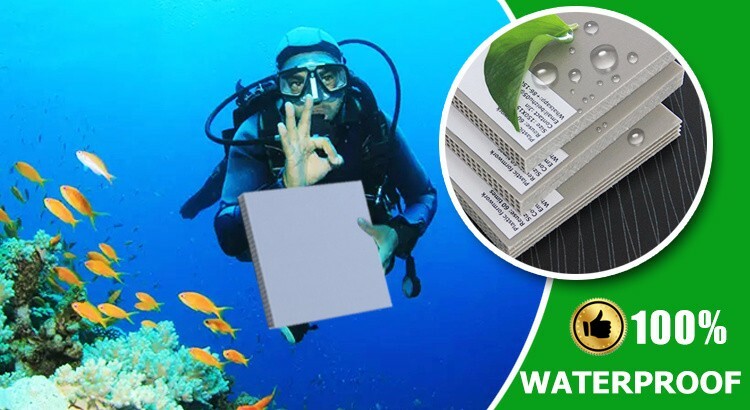 No absorption of moisture, no deformation, no mildew; Long-term immersion stratification in the water, no bubbles, sheet size stability, especially suitable for underground and damp environment. 4. Good toughness. Beizhu plastic formwork could be used as cambered special-shaped formwork. 5. Acid and alkali resistance, corrosion resistance; Beizhu plastic formwork is very suitable for the engineering application in coastal areas, mine, as well as seawall. Beizhu plastic formwork needs not do any preservative treatment both in using and storing the formwork, which do not pollute the concrete surface. 6. The reusable time for Beizhu plastic formwork can reach more than 60 times, long service life. 7. 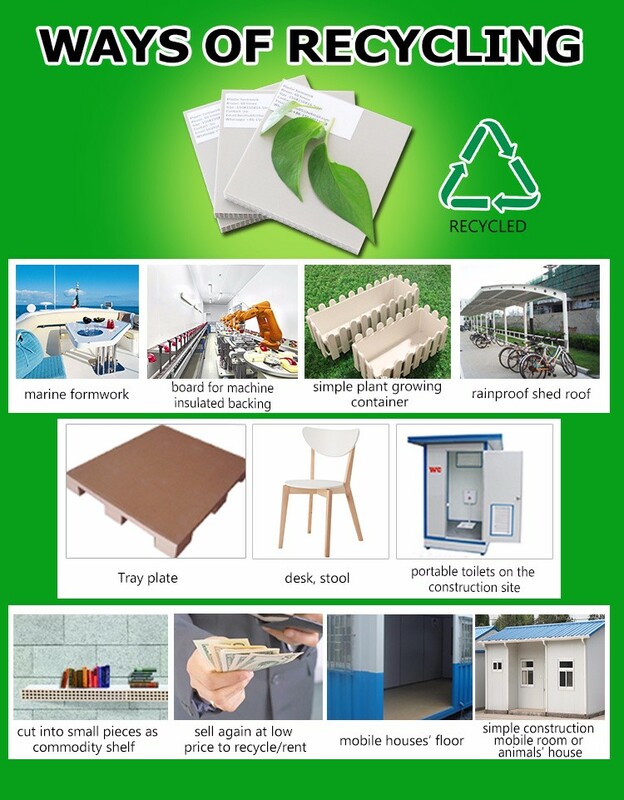 Waste products can be recycled and reprocessed, making full use of waste materials. This property can greatly reduce the project cost compared with wooden formwork and bamboo formwork. 8. 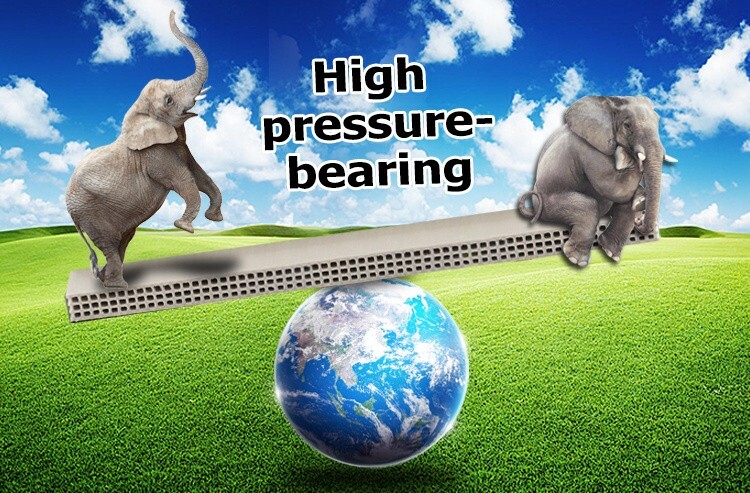 Environmental protection and energy saving, no pollution. No any poisonous or harmful gas. 9. Demould easily. No need brushing release agent, only tapping, the Beizhu plastic formwork will fall off. Shorten working hours and speed up the construction schedule efficiently. 10. Easy to process. Sawing, drilling and nailing are all available. Beizhu plastic formwork can be combined vertically and horizontally optionally. 11. Easy to remove. 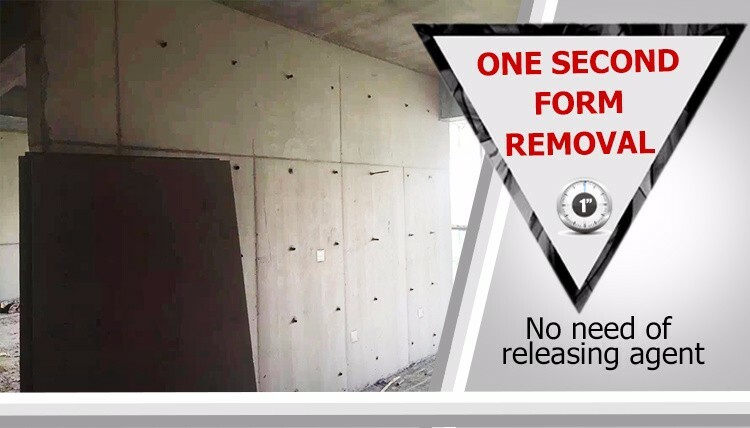 Removing is convenient, quick and safe, and the supporting is also easy to operate, advantageous to the organization construction, effectively improving the construction schedule. 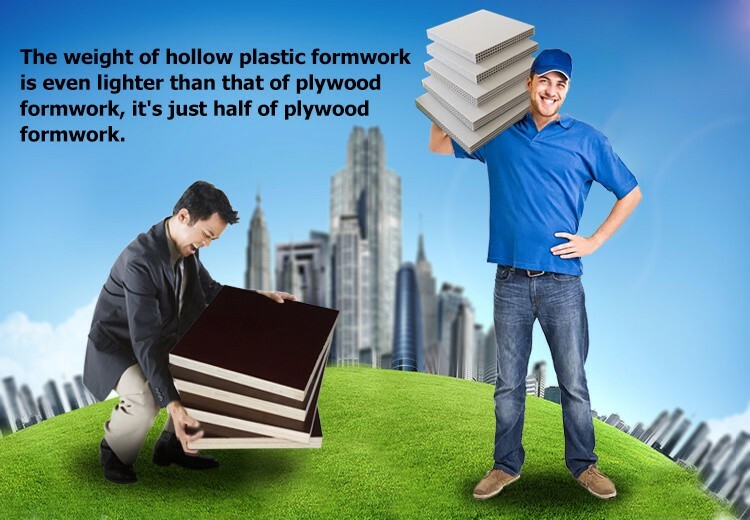 With increasing environmental awareness and the influence of policy, green construction material is more and more popular. Beizhu PVC formwork is a successful innovation of construction material and has been accepted by many Asian countries. Beizhu PVC formwork can reach more than 60 reusable times and have more excellent performance than traditional plywood: green, energy efficient and economical. Beizhu PVC formwork has been tested by market and will be a great innovation of construction material. 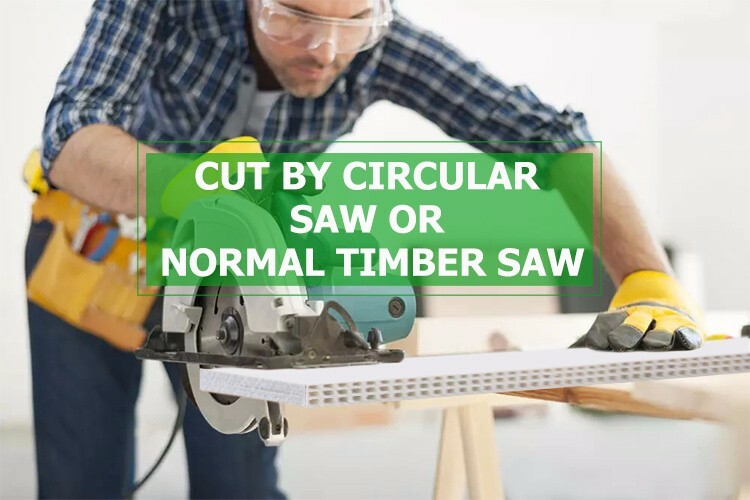 Please use tungsten steel saw blade with over 80 meshes when you cutting the plastic formwork. 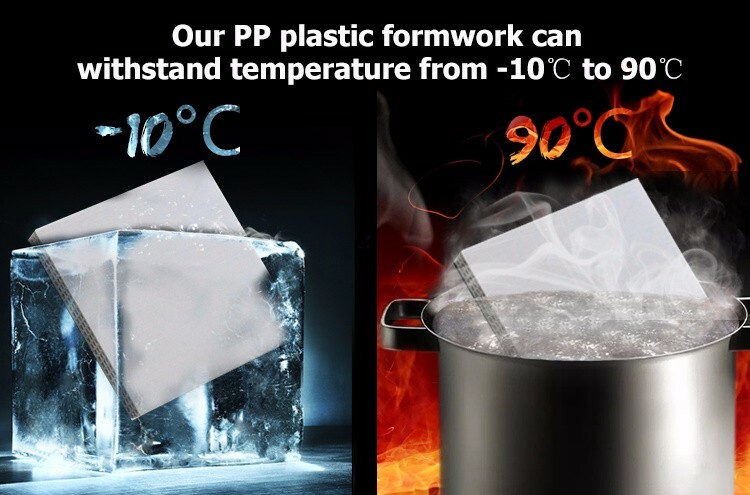 Please avoid the peak temperature in one day when matching the mold. Then the effect after releasing mould is better. 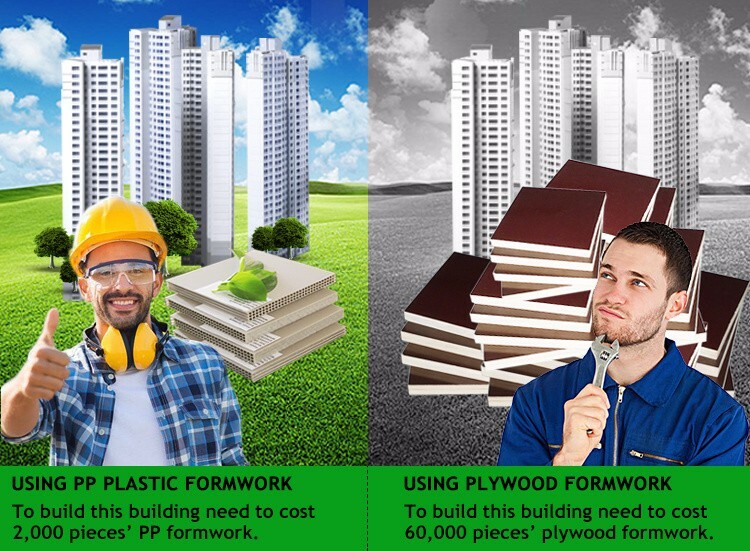 Please place the PP formwork as flat as plywood formwork prevent the deformation after releasing the mould. Please have your building workers skill trained when you use PP formwork first time. This is an essential part. 1. Method of use as well as wooden formwork, Beizhu plastic formwork reinforcement direction with batten direction placed in cross shaped. 2. 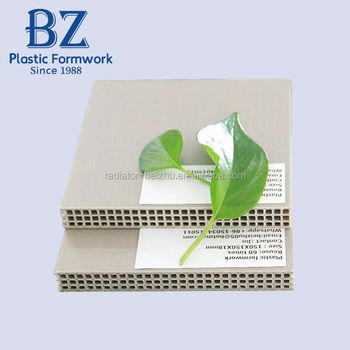 No need to smear the mold release agent before using Beizhu plastic formwork. 3. When cast-in-place the flat plate, spacing between the keels should be 20 ~ 25 cm, and the spacing between the wall plate and keels hould be 10 ~ 20 cm. BEIZHU Beizhu plastic formwork don't need releasing agent. 4. The seam-line between Beizhuplastic formwork should be taped. 5. 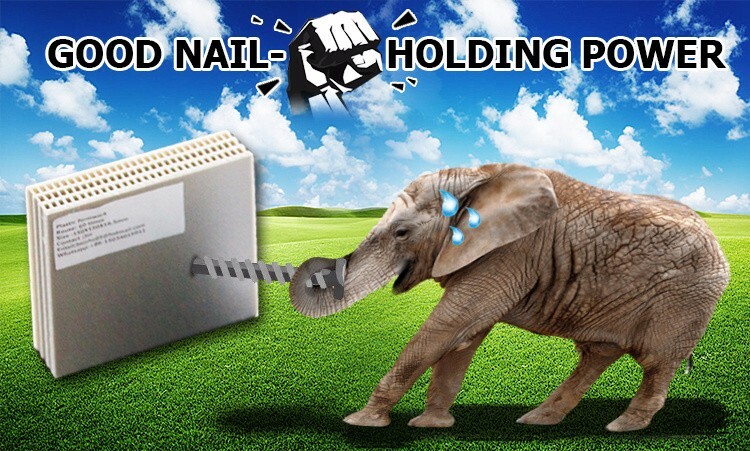 The length of nail should not be too long, generally about 30 ~ 35 mm. 6. The strength to drive nailsshould be moderate. 7. When removing the Beizhu plastic formwork, please start from the small part of one end, the support and the plates should be removed at the same time aiming at preventing the template widespread drops, don't let the corner drop on the ground vertically. 8. The Beizhu plastic formwork accesses to be mixed used with wood veneer, bamboo veneer and other material plate. Beizhu PVC formwork is popular with the customers both at home and abroad. It caused wide public concern and enjoyed a good reputation at the Canton Fair. Beizhu plastic formowrk has 17 national patents and own intellectual property rights. 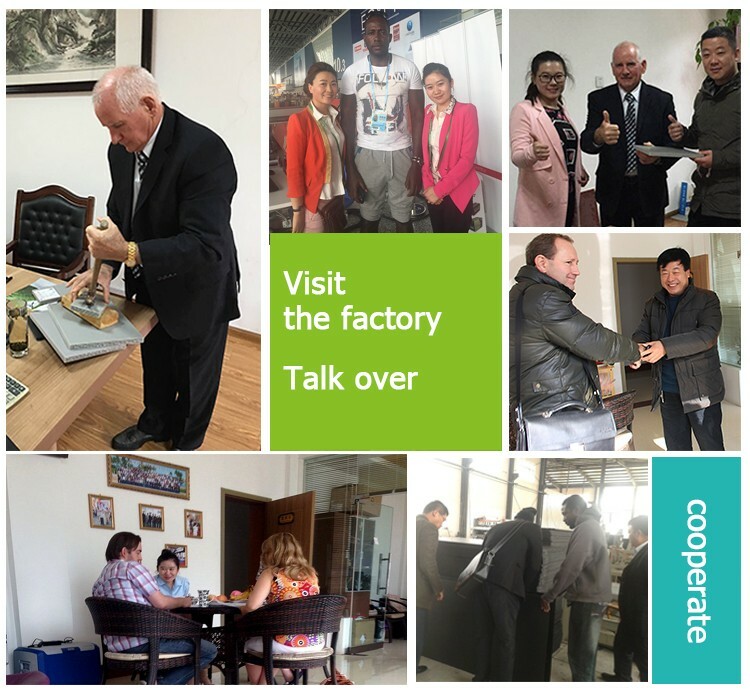 There are customers and agents in various countries coming to visit our factory. 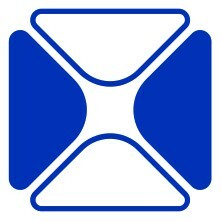 BEIZHU has agents in Thailand and Singapore for Beizhu plastic formwork now. 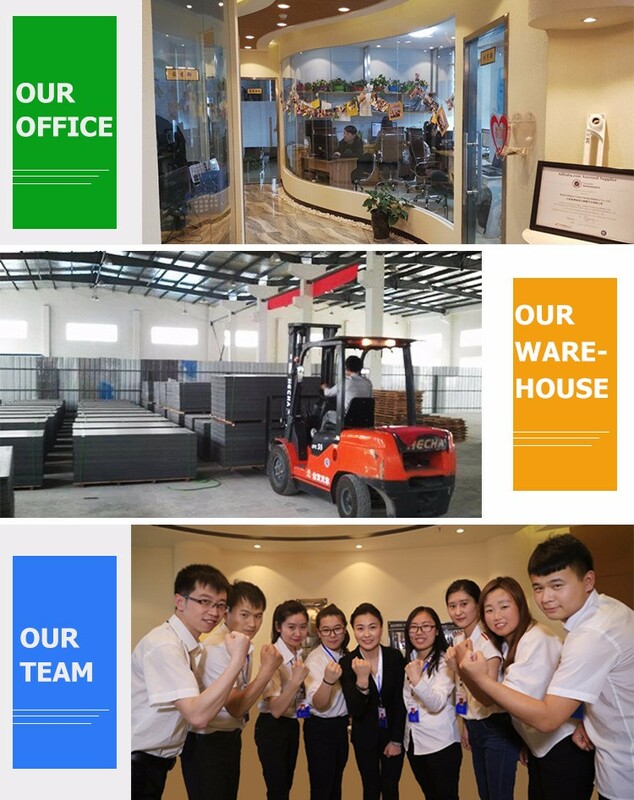 Beizhu Group has 30 years Production Experience specializing in construction materials production and research; Beizhu Group has past the certificate of ISO9001:2008 International Quality System in 2015; With excellent R&D team, Beizhu has more than 80 patents; With advanced equipment, Beizhu can provide good product and service. BEIZHU PVC formwork has been accepted and applied in construction in China, India, Australia,Singapore, UAE, Finland, Mexico and other countries. We have got the positive feedback from our customers. This new construction material Beizhu plastic formwork will be popular and used widely all over the world. A:We provide sample free of charge 3-7 work days. Q: What payment terms do you do? 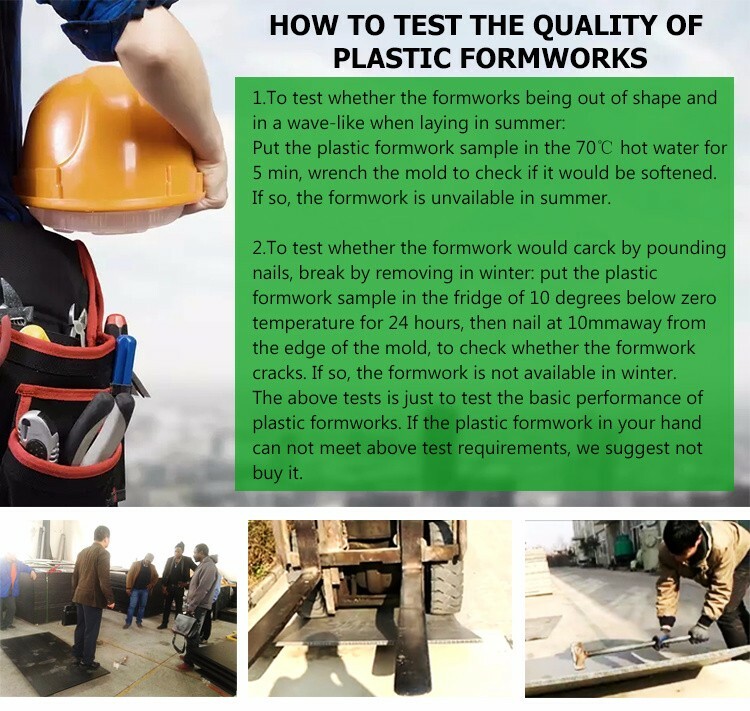 Q: What is your MOQ for Beizhu plastic formwork? Q: How to pack the product? A: On pallet and carton or as customers’ requirement. Q: How many quantity can load for one 20/40 container? 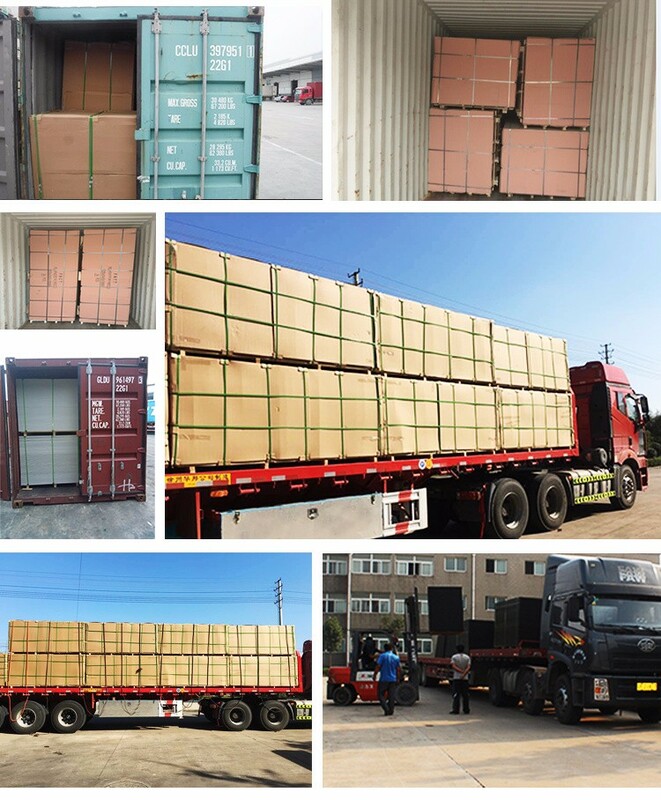 A: 424PC/20 container, 950PC/40 container.